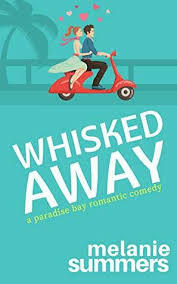 Synopsis (from Amazon): All their lives, Alice Stanhope and her daughter, Zoe, have been a family of two, living quietly in Northern California. Zoe has always struggled with crippling social anxiety and her mother has been her constant and fierce protector. 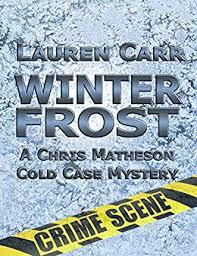 With no family to speak of, and the identity of Zoe’s father shrouded in mystery, their team of two works—until it doesn’t. Until Alice gets sick and needs to fight for her life. Desperate to find stability for Zoe, Alice reaches out to two women who are practically strangers but who are her only hope: Kate, a nurse, and Sonja, a social worker. As the four of them come together, a chain of events is set into motion and all four of them must confront their sharpest fears and secrets—secrets about abandonment, abuse, estrangement, and the deepest longing for family. 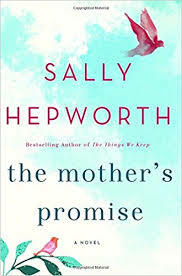 Imbued with heart and humor in even the most dismal moments, The Mother’s Promise is an unforgettable novel about the unbreakable bonds between mothers and daughters and the new ways in which families are forged. One (or more) Sentence Summary: I just finished The Mother's Promise last night (very late) in tears (my eyes and head still hurt!). The last 75 pages or so had me in gut wrenching sobs. So beautifully written and took me back 12 years ago when my own mother passed away. The Mother's Promise is mainly about the journey of Zoe and how she overcomes her disorder, social anxiety. The author really puts it all out there in such a raw and emotional rollercoaster of what social anxiety is to Zoe. We also see how Alice has struggled with her daughter's disorder and all the sacrifices she has made in her life....which is the pure definition of a mother. There are two other stories mingled in the book. While the story of Kate was predictable, I never saw the connect to Sonja until the very end, which blew me away. All three stories come together so beautifully and really displays the power women have, especially together. If you like books by Lisa Genova, you will love The Mother's Promise. Would I Read Other Books by the Author: Absolutely will read more books by Sally Hepworth....just download The Family Next Door! SALLY HEPWORTH is a former human resource professional and a graduate of Monash University in Melbourne, Australia. Sally has lived around the world, spending extended periods in Singapore, the United Kingdom, and Canada, and she now writes full-time from her home in Melbourne, Australia, where she lives with her husband and two young children.